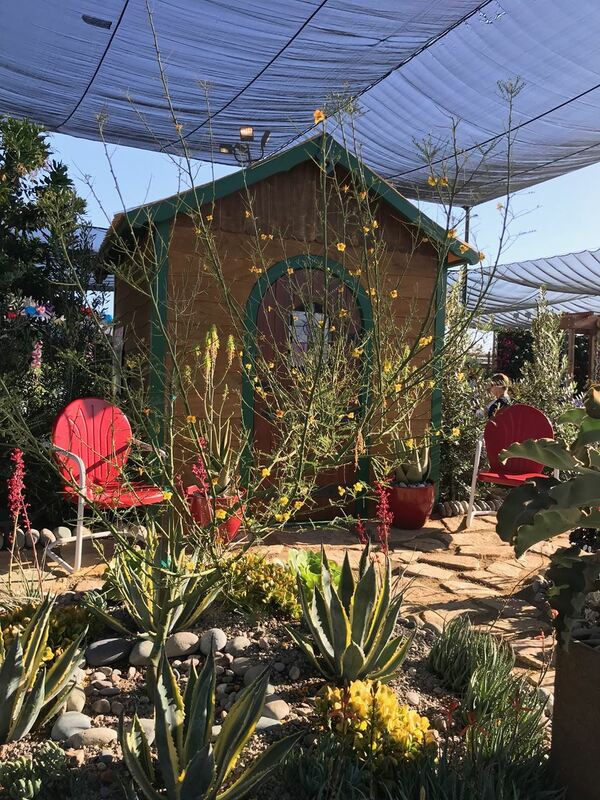 On Friday, July 6 from 9AM to noon, SDHS will be selling the plants used in this year’s award-winning SDHS Garden Exhibit at the fairgrounds in Del Mar. The plant prices are wholesale less an additional 25%, and the plant selection includes California native plants, succulents and cactus, and other waterwise plants. There are many, many plants to choose from, and this is a great opportunity to stock up at a significantly discounted price! No registration is necessary but the event is for SDHS members only. To view the plant list, please click here for plant descriptions, photos, and cultural requirements. Items marked “NSF” (Not for Sale) are loaned plants. Bring your checkbook! Sales are check only. No cash or credit cards. To get there, park in the main lot off of Jimmy Durante Boulevard and enter the garden exhibit area through the Human Resource Department toward the south side of the front of the fair facade. We will use the same entrance as we did for the SDHS Horticulturist of the Year event on June 11.